This antenna is intended for high-resolution radar application. 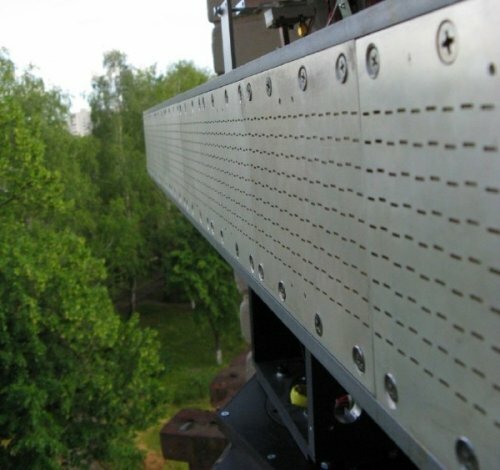 The antenna contains of about 1500 radiating slots, which forms the fan-like radiation pattern in the broadside with low sidelobes. The antenna is produced from the aluminum alloy, thus it is lightweight (only 6.2 kg) and suitable for airborne applications.